I had apprenticed under Dr. Henry “Indiana” Jones, so it was with a blend (get it? blend? even though it’s not one?) of trepidation and curiousity that I approached the small faceted phial with the quasi octagon—but really, a dodecagon—label. It was faceted like a cathedral trapped in a mirror, or perhaps emerging from a lake. 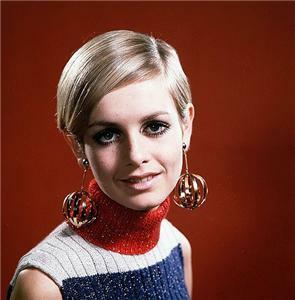 It also looked like something that might adorn Twiggy, dangling from one of her ears. The ochre fluid contained within, if I could safely access it might be an exotic poison, an antidote for asp bites, or as I dearly hoped, Amrit (अमृत), the Nectar of the Goddess conjured by Vishnu to restore immortality to the Devas. The number “12” was enscripted, raising the question: Was this elixir mixed by a 12-year old or was it a reference to the 12th sutra in The Yoga Sutras of Patanjali? I closed my eyes, crossed my heart, hoped to die only to be reborn, and sipped. “Watery,” I thought at first, and then a kick on my frenulum and Plica sublingualis banished that notion. There was an excluded middle: all fire at the front in hole; a hybrid yellow bell pepper stuffed with dried poppy seeds (and I can’t imagine wet poppy seeds). The end was nigh, and the end kept going on and on like a Doors song. Would it end? Could it end? Should it end? I mentally flipped through my early model (late 50’s) Rolodex of symptoms of poison and tangs of antidotes, but found nothing akin to the sensations I was experiencing. And then, bitter and astringent, like the casually discarded loofah of a petty princeling or emir. This couldn’t be the Amrit, but I needed more of it! Directly, I drained down the distilled dregs and waited for death or a different disaster, perhaps eternal limbo. Instead, a raga faintly heard grew expansive, and I enjoyed better the suddenly witty dialogue between sitar and tabla. Concerns about carrying bootlegged antiques past military checkpoints and passport controls faded. I laughed from the heart. Life immortal? No. But I had stumbled upon the water of life. The Antiquary 12 is the surprisingly funny, intelligent, and satisfying movie outside of your normal spectrum genres that you were dragged to by your significant other. At first, it was a grumpy concession to go at all—”Who will watch the ferrets?”—and then…parking was easy, matinee prices were in effect, the popcorn had real butter and brewer’s yeast on it, and the movie lit up the screen, the night, and your love life. Bravo, Tomatin! F-ing Max Roach?! Straight out of left field. Wow. Awesome.